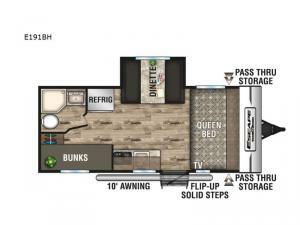 This spacious KZ Escape travel trailer suits a medium-size family for a comfortable living experience. 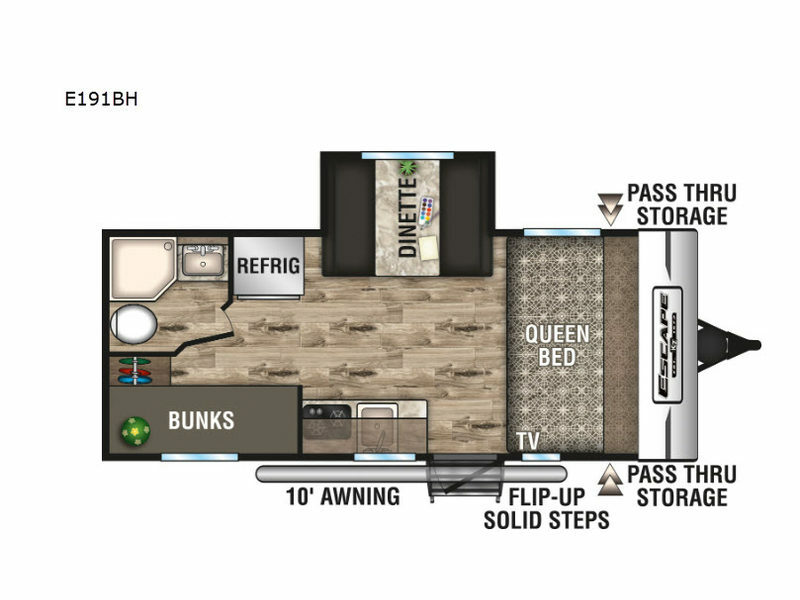 It offers extra space to keep your camping necessities handy in the exterior pass-through storage. With the versatility of the booth dinette, it creates not only a dining area, but also a sleeping area along with the bunk beds. You can unwind at night underneath the 10' electric awning with LED lights as you roast marshmallows around the campfire.